Built in 1815, this house is one of the area's earliest buildings which continues to serve its original function. This Federal-era twin-unit house is divided into 2 three-bedroom units, and was here long before Park Street became an academic and commercial artery. 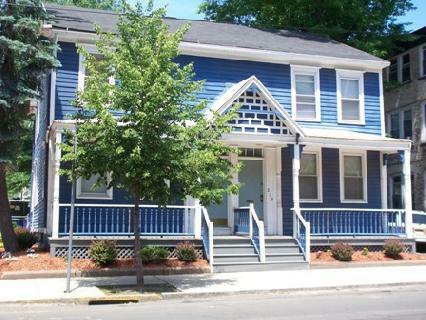 These units are dedicated to graduate students looking for a comfortable home in the central campus area. Tenants are responsible for gas heat, hot water, and electricity.